On the long and winding road that is The Montgomery Drive I am constantly searching out new music to enjoy along the journey. In all my time searching and listening, few artists have stuck out like the legendary Mike Patton. Coming across as a modern day renaissance man, Mike Patton leaves his mark in all forms of Entertainment. Known to most as the vocalist for the the band Faith No More, Patton has also lent his vocal stylings to a variety of projects ranging from groups like Mr. Bungle and The Dillinger Escape Plan to acts like Lovage and the one and only Peeping Tom. Aside from his musical endeavors, Mike Patton has bestowed his trademark voice to video games such as The Darkness (both games 1 and 2), Left 4 Dead, Bionic Commando, and Portal. Furthermore, Mike Patton has utilized his vocals and musical talents in films like I Am Legend (voicing the creatures) and Crank 2 (composing the film score). Along with Greg Werckman, Mike Patton has also founded and operated his own independent record label based out of California known as Ipecac Recordings. Through Ipecac Recordings, Mike Patton has released both his own projects and other artists' releases always utilizing original packaging that leaves listeners engaged and intrigued. On my trip in Japan I picked up a variety of releases that were either unavailable in a physical format or harder to get back in the states. One of these releases was an album by Mike Patton called Mondo Cane. Of all the music I've purchased this is one of the few albums I can repeatedly listen to and continuously enjoy time after time. The release features covers of 50's and 60's Italian pop songs performed by an orchestra comprised of over 60 musicians and Mike Patton on vocals. As released through Ipecac Recordings, the release features stunning and colorful packaging featuring the rainbow colored world centered around the strikingly white colored Italy. The bulk of the songs are in Italian however select songs include phrases in English. As the album progresses it flows beautifully, gracefully transitioning from soft and soothing ballads to faster more aggressive overtures. Whether your looking for songs to help you relax, or tunes to analyze and/or rock out to, Mondo Cane offers a little bit of everything for everyone. For some listeners, the thought of listening to songs in a different language may not be very appealing; however, I challenge you naysayers to listen carefully to Mondo Cane and not be blown away (Listen Here). 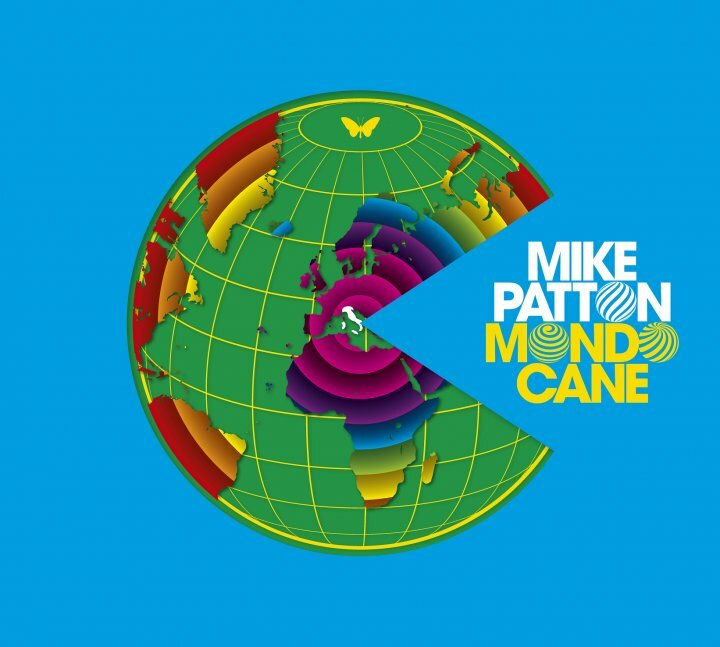 In addition, Mike Patton's Mondo Cane debuted at #2 on the Billboard Classical Chart, as well as #7 on the Heatseekers Chart.